Building a brand image is not an easy task. It requires a lot of effort and dedication. There are multiple advantages of building your brand name, number one being brand recall; that’s when everyone starts to recognize you by name. However, what happens when someone else starts using the same name as your brand? At that point, customers can easily mistake your brand for the counterfeit one. Plus, various competitors can pop up with a name that has little or no difference from yours. In order to protect your name, you must trademark it. Once you trademark your name, you get exclusive rights to it. The name does not need to be one word. It can either be a few words, a phrase or even a short sentence. Not only that, but you can also trademark a design, a symbol or your brand logo. 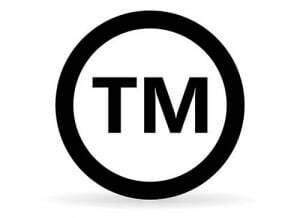 Before you decide to trademark the name, you must know that you can only do so if the name belongs to a business that is operational or will be used by a setup in the future. You cannot trademark personal names. Also, you will only be able to trademark it if the name of your business is unique and does not sound generic at all. For example, Starbucks is a different name, so the trademark was given. Names such as ‘cold ice-cream’ will not be given consideration. When you are deciding a name for your business, make sure to run a little background check to see whether any other company has the same or similar name because if there is one available, you will not be able to get the trademark. Also, make sure that your name is specific to some type of goods or services being offered by the company, which would increase the chance of you getting the trademark. Deciding on the company name can be a daunting task as it is a name that will be associated with you forever. You need to make sure that you pick a name that you do not regret. However, what can be discouraging is when you finally decide on a name and you find out that you cannot trademark it. This is why you need to know how to trademark a company name beforehand. Once you follow the points below, you will be able to ensure that it does not take you forever to decide on a name only to revise it. By conducting a trademark search, you will be able to find various problems that you may encounter when you go to file the application. It will save you a whole lot of time, and you will be able to make things clearer in less time, saving you money as well. When you conduct the research, you will get to know if there are existing businesses with the name you want or if there are any with names that are only a little different but can cause confusion. If there is any confusion, it is possible that your application will be denied. With the research, you will be able to figure out that possibility beforehand. Another thing that this research will help you with is in finding businesses that have the same or similar name to yours. Though these businesses may not have a trademark, they may have their names protected by the law in specific geographical locations. It is best to ensure that you do not get into any legal trouble because of such names. The address and name of the owner of the business. The name that needs to be trademarked. The services or goods that the business will provide and with which the name will be associated. You need to make sure that you clearly point out whether the name will be used in the future or if the business already exists. If your business already exists, you will need to provide evidence such as a letter head or a label. If it’s for future use, you will submit these when the business becomes operational. You will also need to pay the fees associated with the filing. This varies from $225 to $325 depending on the class of goods or services you are providing. Once your trademark has been assigned to a person for review, you will be questioned if any problems are spotted. These questions will come to you in the form of a letter, and you will also be assigned a specific time period in which you will need to answer. To make sure that the application proceeds to the next level, you need to respond in the given time period or your application will be canceled. Your application will then be published for opposition. If any comes up, you will need to resolve the issue. After that is done, your trademark will be registered.